I love December! The food, the festivities, the family, and the friends – it’s such a great time of year! It’s also a good time to look back on the year that’s drawing to a close and to think ahead to the new one just around the corner.In 2018, your NDSC team focused on expanding service delivery on multiple fronts. 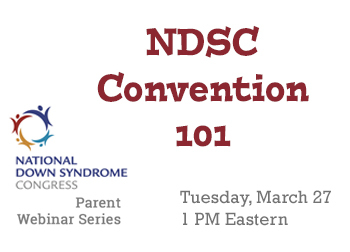 This year’s NDSC Convention – already the largest of its type in the world – hit a new attendance record. It is both our joy and privilege to host the Down syndrome community’s largest annual family reunion, and we take that responsibility seriously. Knowing that not everyone can attend the Convention, we’ve begun taking our programs on the road, hosting successful Rural Outreach conferences in California and Michigan. We also made our resource-rich website mobile-ready, so everyone can access its wealth of information easily. 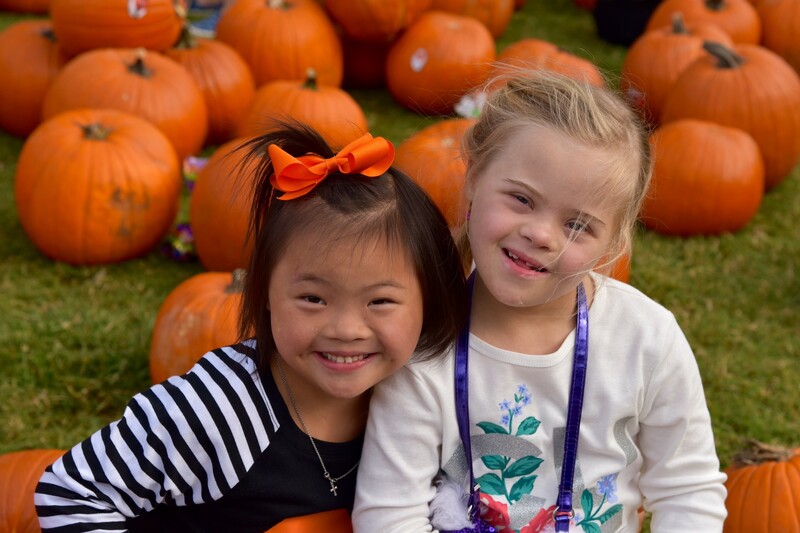 As Thanksgiving 2018 approaches, I find myself reflecting on the past year and the people that I am thankful for in my role as the NDSC’s Executive Director.I am thankful for those who have committed themselves to advancing our mission to provide information, advocacy, and support concerning all aspects of life for individuals with Down syndrome. We are truly blessed to have such a large network of people focused on executing our vision of a world with equal rights and opportunities for people with Down syndrome. Fall Into October With NDSC! Getting involved and helping us raise awareness and funds has never been easier! With October being Down Syndrome Awareness Month, we are simply asking all of you to give us one week out of the year to be a steward for the NDSC. It Is All About The Art and Stars! Be a Part of Our Hall of Stars! As you know, this year’s Convention heads to the Dallas, Texas, where we are going to reach for the stars! As a beautiful focal point of this year’s big event, we are going to turn the glass walkway from our hotel, to the convention space, into a fabulous Hall of Stars. Whether or not you attend the Convention this year, you can participate in this artistic endeavor. 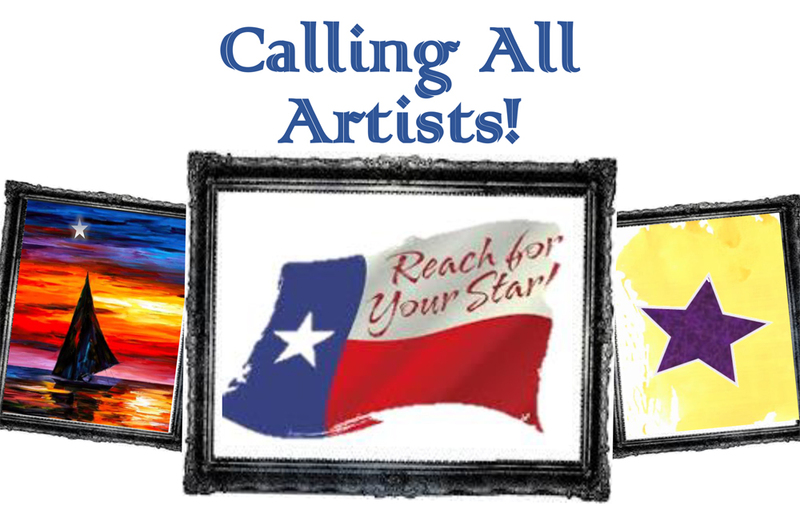 The NDSC is searching for art entries for our first Art Exhibit and Auction to be held at the 46th Annual National Down Syndrome Congress Convention in Dallas. World Down Syndrome Day is Wednesday, March 21. This date is selected to signify the uniqueness of the 3rd copy in the 21st chromosome which causes Down syndrome. People with Down syndrome are more alike than different, and have more in common with you and I than we realize. Their kindness, love, and courage are inspiring. Please dedicate your ride to individuals with Down syndrome. THE ONLY TOURNAMENT WITH A BOTTOMLESS YETI! YOU DO NOT HAVE TO LIVE IN GEORGIA TO PARTICIPATE! IF YOU CAN’T PLAY, PURCHASE YOU FIRE BALLS TODAY! The National Down Syndrome is thrilled to announce our new corporate partnership with Comfees Premium Diapers! 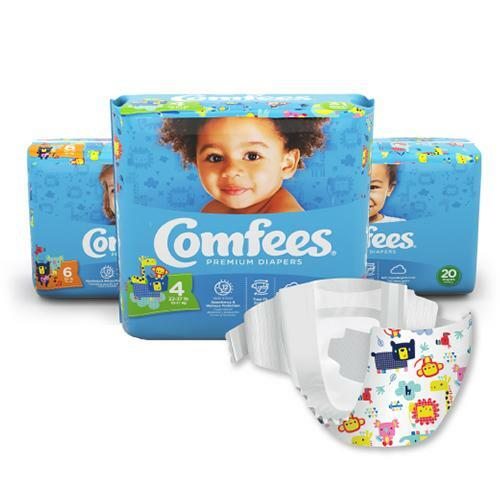 No only will we be working together to get the word out about the product, and about great company behind the diaper, but Comfees will be the 2018 Sponsor of the 321 Dance at the 46th Annual National Convention, as well as a Convention Lone Star Partner. We are truly excited to endeavor on this partnership, and there is so much more to come! Take a moment to visit the Comfees Website today. Would you like to join #theluckyfew movement, but aren’t quite ready to commit to a permanent tattoo? We have a temporary tattoo just for you! Designed by Anthony Garcia, Last Angels Tattoo – this version takes the 3 chevron symbolism a step further, by including 3.21 into its arrow. Easy to apply and remove, it should last for 3-5 days. Each one measures 1 x 3.5 inches. 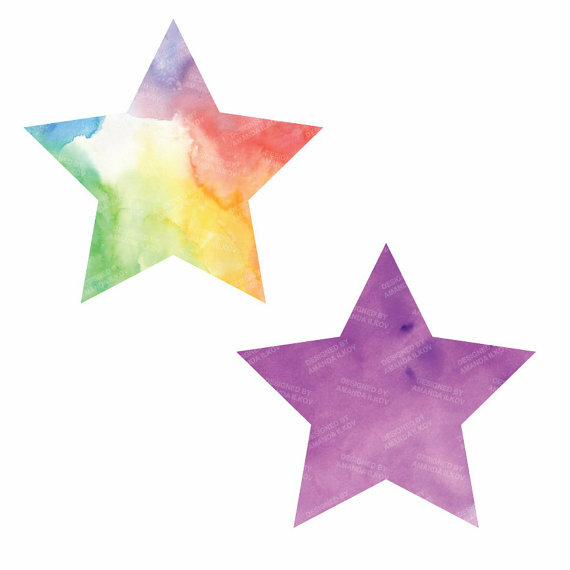 You can order single temporary tattoos, or in bundles to share with your friends (or even use them for a fundraiser!). CLICK HERE to learn more and purchase yours today! We Need Your Photos & Quotes! We’re gearing up for our “21 Quotes in 21 Days” campaign, leading up to World Down Syndrome Day on March 21st. 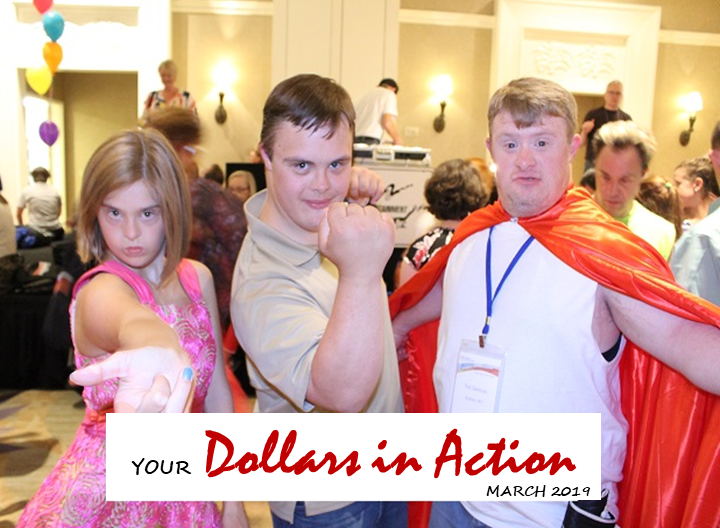 This year we’re going to change it up a little, posting daily on Facebook, Twitter and Instagram – then culminate with a slideshow on WDSD that we’ll send out in our E-News. Are you a self-advocate with something to say? Send us your high resolution photos, along with a quote, your name, age, city & state to ndsc@ndsccenter.org While we may not be able to use all the submissions in this campaign, we could also use some photos to help us refresh our website! 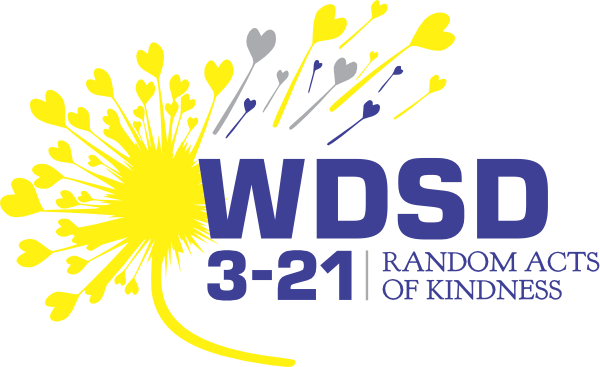 We’re teaming up with our partners on Random Acts of Kindness for WDSD again this year. 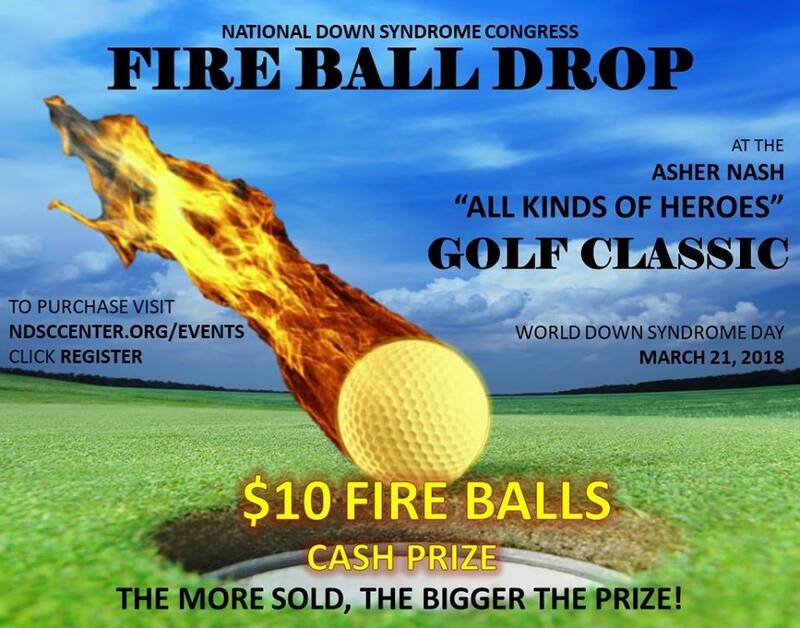 You can pay it forward in your own way and promote Down syndrome awareness at the same time! Visit this Facebook page for all the details! Get Ready for 3/21 in Style! 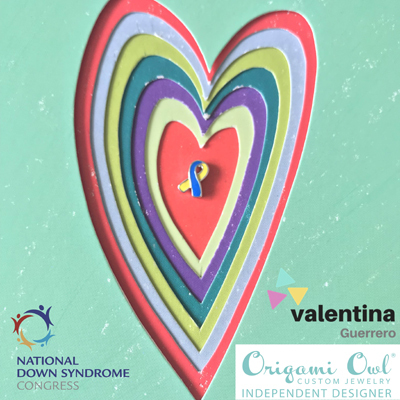 NDSC has partnered with Origami Owl’s Independent Designer, Jyniva Ramirez and model Valentina Guerrero, to bring you accessories that tell your story. Join us in raising funds and awareness for Down syndrome with a beautiful charm. The convention brochure will be hitting member mailboxes any day. Check our website for all the details (and many more updates along the way). Registration will open on April 16. Look at our amazing sponsors! 2017 marks the 45th Anniversary of the National Down Syndrome Congress. As we head into 2018, and look towards the next 45 years, your support is CRUCIAL! Please click here to read more about where we are headed, and to give to our 2018 Year-End Campaign. Last Call For Ornament Orders! The ornaments will come in a red organza bag, making then a wonderful gift for your friends and family! 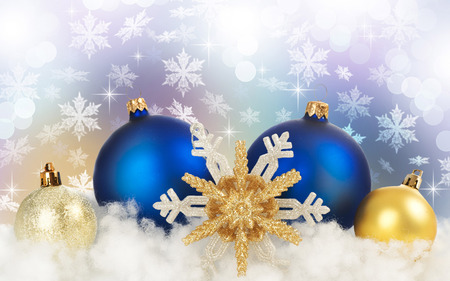 Holiday Ornament Pre-sales End Soon! 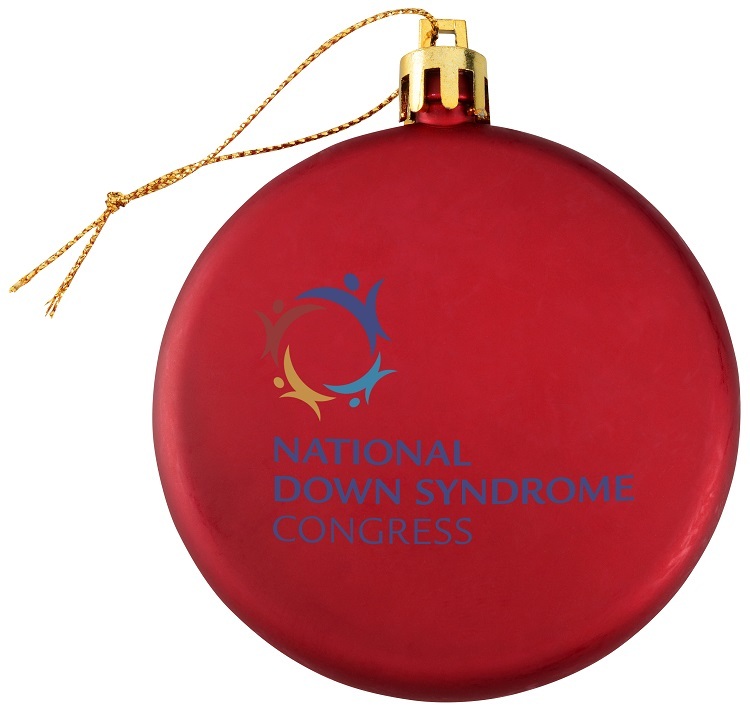 Designed by an NDSC self-advocate during our 2016 Annual Convention, your ornament will come in a beautiful organza bag, making it a wonderful holiday gift for loved ones, friends and business associates! $15.00 – includes shipping (discounts on multiples too). Place your order between now and Thanksgiving for your early December delivery. The NDSC Annual Convention is heading to Dallas next summer. Will we see you there? The Texas Host Committee and the Convention Planning Committee are committed to making this our biggest convention yet! CLICK HERE to view our “save-the-date” flyer. The call for speaker proposals for the General Convention and Youth & Adults Conference is open now. Do you have an engaging topic to share? Do you know a dynamic speaker who should submit a proposal? CLICK HERE to learn more. A big THANK YOU to our first two 2018 Convention Sponsors – Specs4Us and Reece’s Rainbow Down Syndrome Adoption Grant Foundation. Do you own or work for a company that would be interested in sponsoring the NDSC Annual Convention? There are a wide range of levels to choose from – CLICK HERE to view the sponsor packet. Did you miss our 2017 Convention in Sacramento? 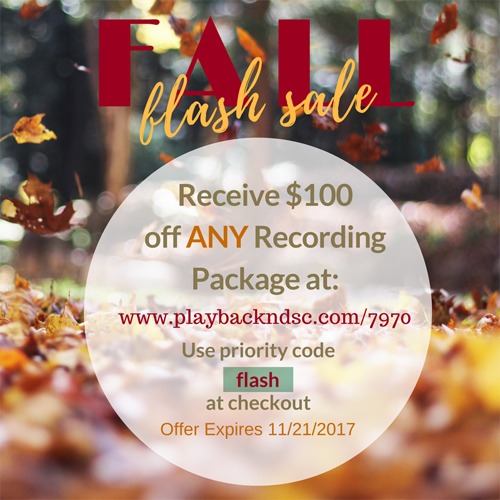 Take advantage of this Fall Flash Sale from PlaybackNow. You can get the recordings and enjoy the convention from your couch. NDSC is pleased to announce that we have recently added the technical capability to offer turnkey, simplified Action Alerts to our members and allies. This will help bring our grassroots advocacy to the next level by enabling the NDSC Policy & Advocacy Team to send you targeted alerts, match you up with your elected officials, and guide you through an easy process of sending messages to your legislators on important policy issues. It will also allow you to share NDSC’s Action Alerts with your networks easily & more effectively. SIGN UP HERE to receive timely, accurate information from the NDSC Policy & Advocacy Team and to magnify your voice. Signing up is free and takes less than one minute – simply provide your name, email, address and zip code. NDSC will not share your personal information and will use it for advocacy communication purposes only. Together, we can continue to advocate for laws and policies that will remove barriers and increase opportunities for individuals with Down syndrome. Please join us in these advocacy efforts and sign up today! Sean McElwee, star of Born This Way, is also a successful businessman. Have you seen his great shirts? There’s something for everyone – available in multiple colors and styles: baby onesies, toddler, youth, t-shirts up to 5X, long sleeve t-shirts, sweatshirts and hoodies. Shop Seanese in November and help support NDSC! Presented by Julie Harmon, Inclusion Coordinator at University of Colorado Colorado Springs (and NDSC Board member). 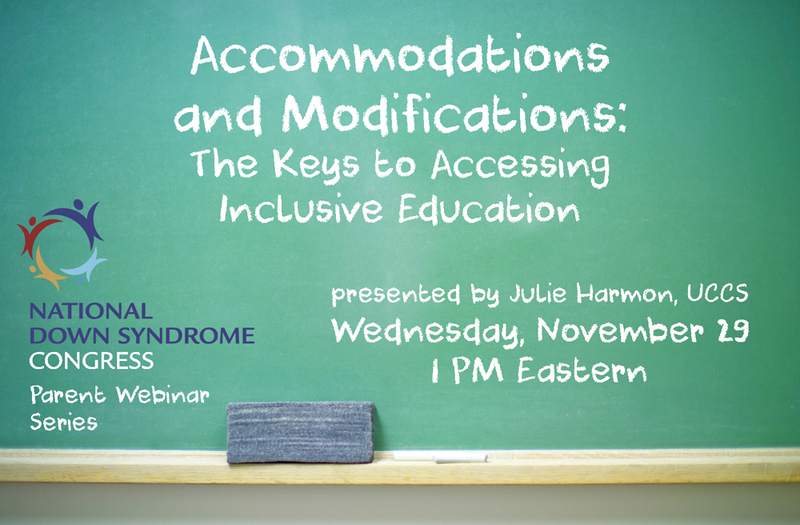 This webinar will explore how the use of accommodations and modifications can be a key to meaningful participation in the general education classroom for students with disabilities. CLICK HERE to register.